Get this LEGO Marvel Super Heroes Corvus Glaive Thresher Attack Set for $23.99 Shipped (Retail $39.99) – lowest price. 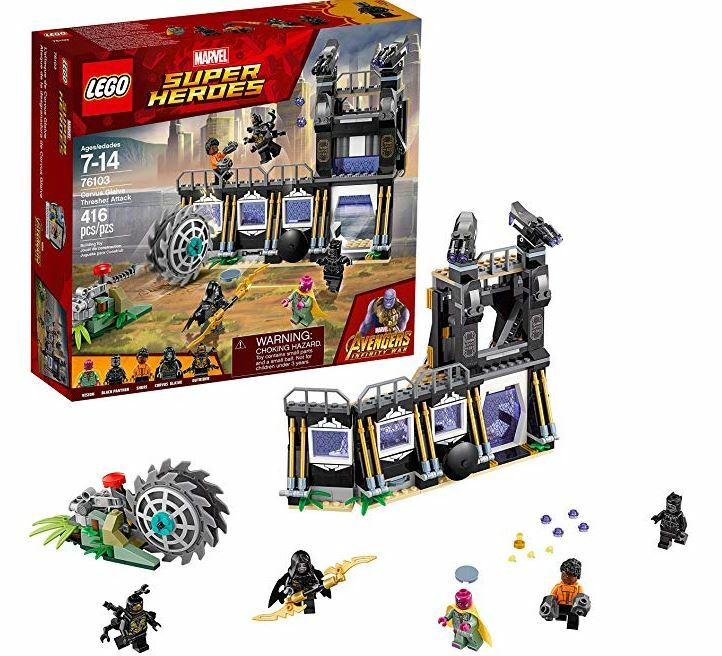 This LEGO Super Heroes Corvus Glaive Thresher Attack Set features a wall with a lever-operated opening gate, a tower with rotating, dual stud-shooting turrets, hidden disc shooter, Wakandan lab with flip function and the Infinity Stone element. Plus, it includes 5 minifigures: Vision, Shuri, Black Panther, Corvus Glaive and an Outrider.